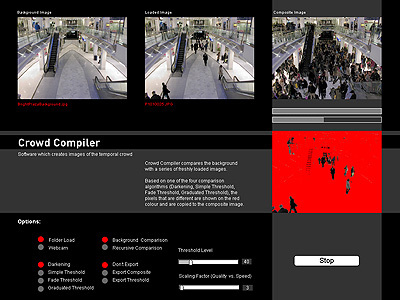 Computer software which produces an image of the temporal crowd. 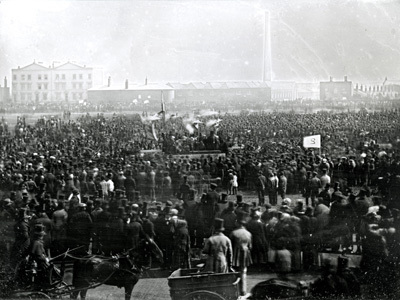 Ever since the very first photograph of a crowd was taken in 1848, these images have been controversial for what they purported to show and what they did not show. 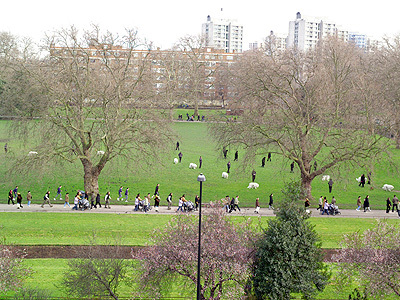 Even today, most representations of the crowd aim to rationalise and quantify the crowd rather than show its curious dynamics of both density and fluidity. The Crowd Compiler software tries to present the ‘crowd in time’ rather than a static snapshot. A fixed camera takes photographs at regular intervals which are then sequentially processed by the software. Using a simple algorithm all the visual changes between the frames are composited and made simultaneously visible. 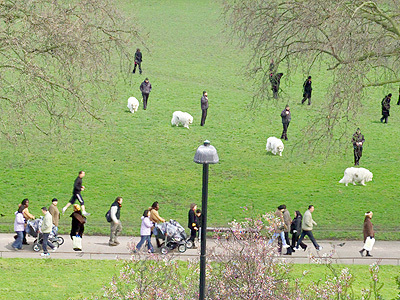 The resulting images widen our senses to this normally invisible ‘temporal crowd’ which occupies public space. Is this simply a special effect? 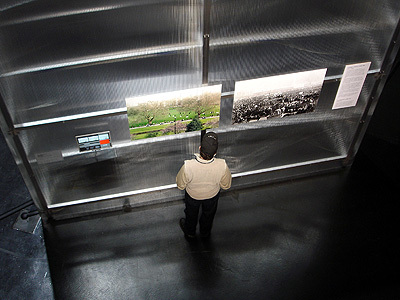 No, the images carry visual data about the effect of architecture and urban design on group behaviour. Of equal importance is the fact that the images are created by a process that is legible. The political and technical logic of the representation becomes visible in the image itself rather than being hidden away. The Crowd Compiler software operates by comparing each individual pixel between the photographic frame and the back-ground image. If the colour has changed a significant amount, the new pixel is copied to the background. The process continues until all the photographs have been processed.